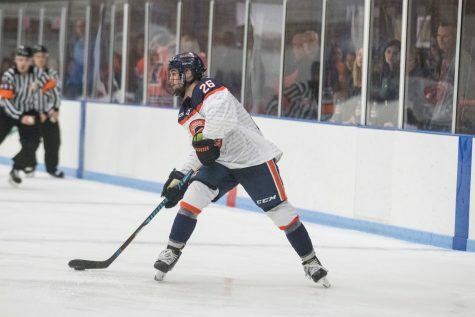 Senior forward James Mcging’s hat trick on Friday and sophomore forward Jon Moskaluk’s two goals on Saturday aided the Illinois hockey team in a weekend sweep of Michigan State. 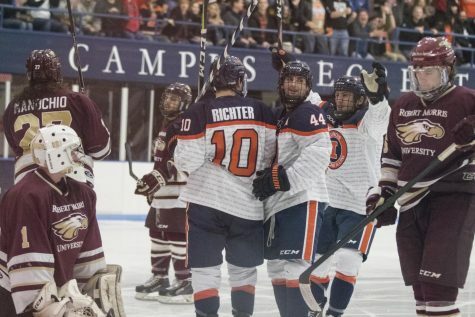 The Illini outscored the Spartans 12-1 on the weekend, outscoring them 4-1 in the first game and shutting them out MSU 8-0 the second. Mcging wasted no time getting himself on the board Friday night, scoring his first goal only a 1:08 into the first period. He notched his second one with 4:25 left in the period. The goal that would give him the hat trick did not come until the 11:18 mark in the third frame. 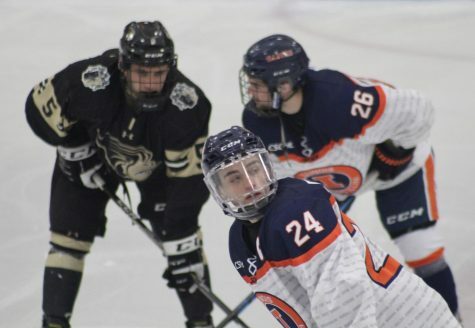 Mcging had an easy shot in front of the net after a beautiful pass from sophomore center Robert Ernsting. 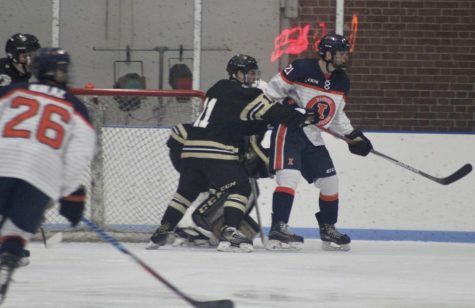 Junior defenseman Tyler Opilka picked up his first goal of the season after a pass from freshman forward Drew Richter set him up to beat Spartans’ goaltender Grant Luzynski glove side. Senior goaltender David Heflin had a solid first outing between the pipes, stopping 23 of the 24 shots that came his way. Despite giving up four goals, Luzynski put up a valient effort, making 40 saves on the night. 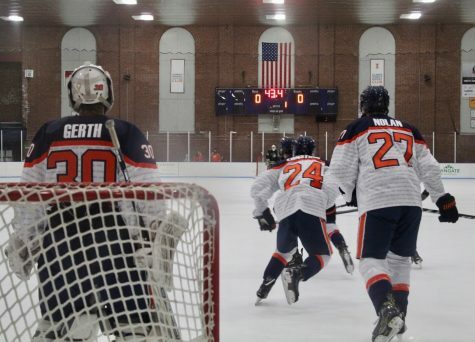 The second game of the series saw goaltender Maxwell Quartermus in between the pipes for Michigan State and a much different game unfolded. Sophomore Stephen Quinn got Illinois off to another fast start, scoring 1:58 into the game. Quinn credits sophomore center Chance Homerin for giving him his first goal of the season. The goals then came in bunches for the Illini in the first period as Opilka tallied his second goal of the season. 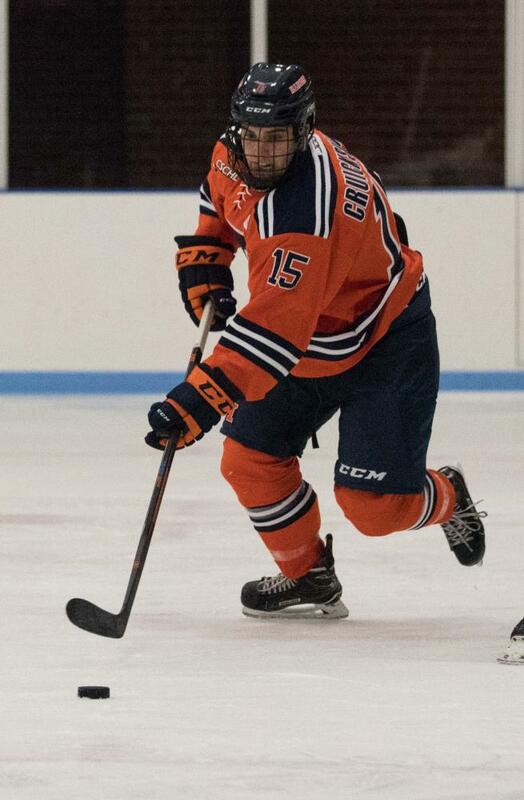 Senior center Eric Cruickshank buried one on the power play and freshman defenseman Joe Nolan had a breakaway goal to cap off the period. 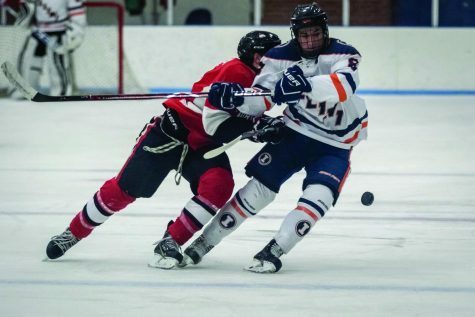 While he felt frustrated after the first encounter, Moskaluk felt much more comfortable in the second outing, scoring the first and second goals of his young career in the second period. His first goal was set up perfectly from Richter as he was skating behind the set. Richter dropped the puck right on Moskaluk’s stick in front of the net, setting him up for an easy finish. Goal number two for Moskaluk came with 37 seconds left in the second frame when he put a rebound opportunity in the back of the net. 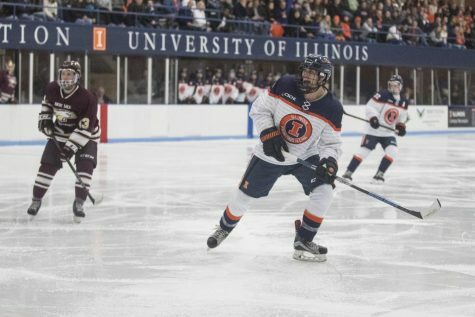 Two more Illini sank their first goals of the season as Ernsting got his midway through the third period and freshman forward Justin Ries netted the first goal of his collegiate career, sniping one off the faceoff with 2:40 left in the game. 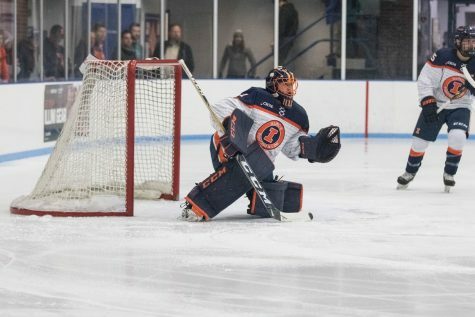 Sophomore goaltender Ross Lipic got the first start of his career on Saturday in place of Heflin and shut the Spartans out, making several solid saves to keep them off the board. The Illini will be seeing their first action on the road this year when they head up Interstate 74 to face the Illinois State Redbirds in Normal, Illinois, and Fabbrini feels that this kind of performance can most certainly carry over to next weekend and the rest of the season.